An impromptu session was arranged on Blackheath this morning to view the total eclipse of the Moon. A few hardy souls turned up at 3am to view totality, and what a spectacular view it was. More pictures will be added to this report as they are received. If you took any pictures of the eclipse, please send them in to flamsteed@rmg.co.uk. 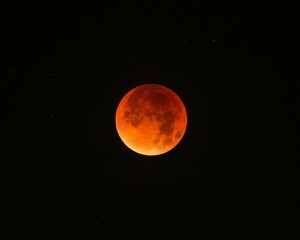 The Moon appeared completely red between 3.11am and 4.23am.